With the weather being what it is in our little pocket of the Pacific Northwest, flip flopping between gorgeous sunny days and monsoon like deluges, the torrential downpour days have me wanting to crawl back into my jammys and sit by the fire. Needless to say, this weather has me craving comfort food and conveniently enough, it’s National Oatmeal Lace Cookie Day. Problem solved! Though I rarely need an excuse to make oatmeal cookies, these are a little different than my usual, downright dependable, everything-but-the-kitchen-sink oatmeal cookies. When I set off to make these cookies, I wanted to add a little something extra. 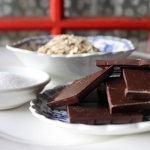 European in origin, oatmeal lace cookies can have a variety of different ingredients depending on where the recipe originates from. 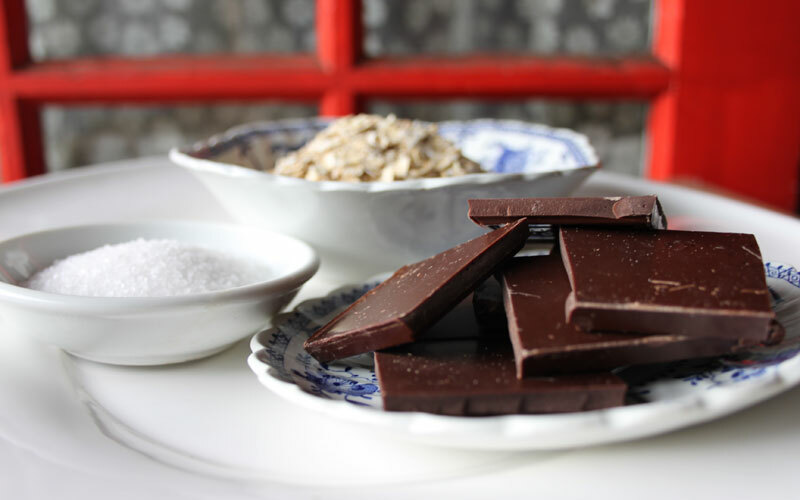 In Ireland, they tend to just use oats and cream; in Germany, they spice theirs up with ginger, cloves and cinnamon, while in France the go-to-ingredient is almonds. For my oatmeal cookies though, salt and chocolate sounded just about right. The wonderful thing about oatmeal lace cookies is they are so quick and easy to make. Crisp on the edges and chewy in the center, I made these from rolled oats instead of quick oats (make sure to get oats that have been tested to ensure there is no gluten – oats can be tricky that way!) which gives the cookies a perfectly chewy texture. For our gluten free version, I used the CGGF general gluten free flour mix and xanthum gum to get just the right consistency. Oatmeal lace cookies can be made without flour, but the flour helps them to stay crisp, gives them more substance and keeps them from getting too sticky after they’ve been baked. 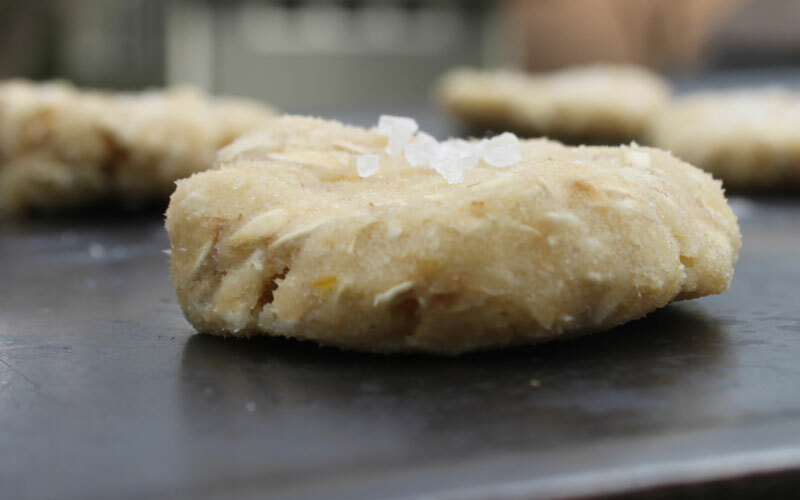 One of the tricks to baking these amazingly light, crispy & chewy cookies is to make sure to put the dough in the fridge for at least 10 minutes – or if you’re in a hurry the freezer will do too! This helps the cookie dough hold it’s shape and adds to the texture and flavor. I recommend using a heaping teaspoon sized ball of dough for each cookie. Then, press flat. 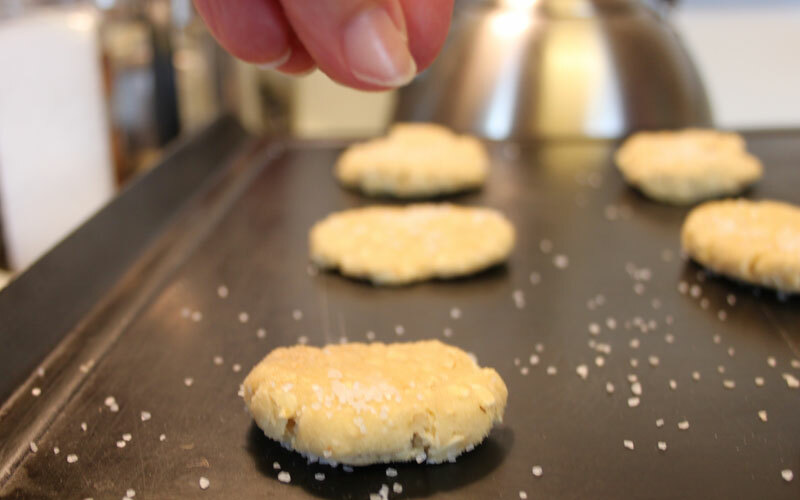 Add salt & make sure to give them enough space (at least 2 inches apart) while baking because they do spread out quite a bit. If they are too big, they tend to crumble at the edges. Don’t try to remove the cookies until they’re completely cooled or you’ll end up with a little pile of crumbs, tasty crumbs to be sure though! After they have cooled brush on the melted chocolate with a pastry brush. 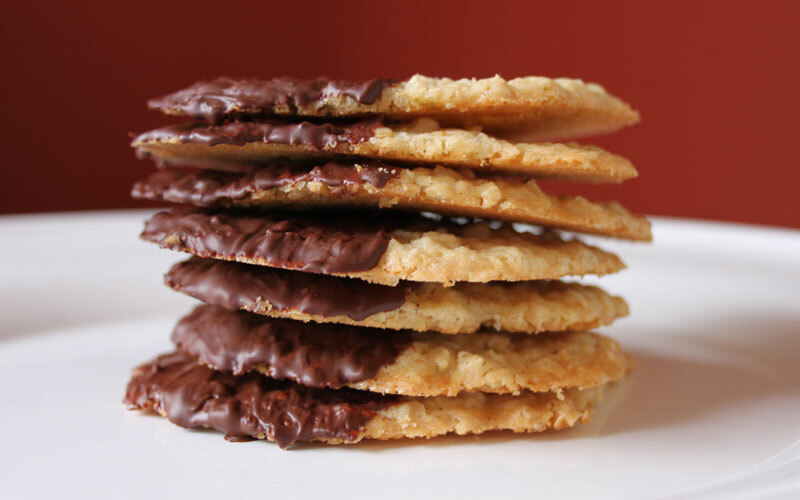 Because they are so thin, the melted chocolate side of the cookie will be very fragile until cooled again – so handle with care. Cool cookies and seal in an airtight container, if they make it that far. Next, take your cookie, get a good book, don your coziest pj’s, curl up and listen to the rain! Crisp and chewy gluten free oatmeal lace cookies. 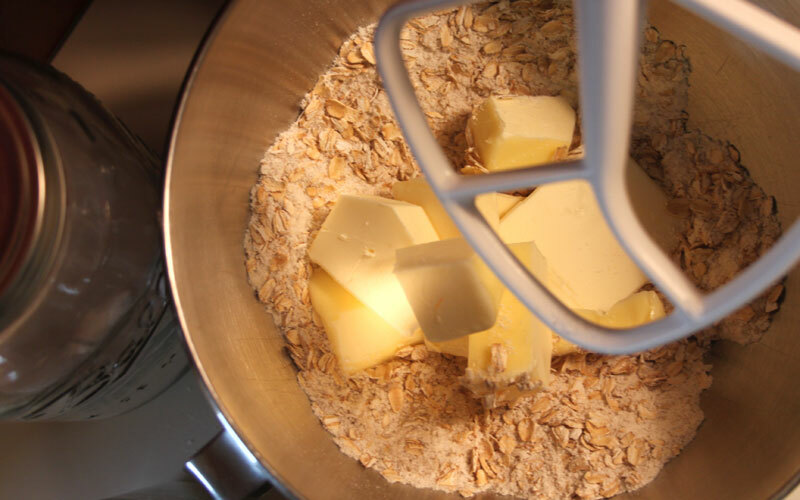 In a large bowl, place the oats, flour, xanthan gum, salt and sugar, and whisk to combine well. Create a well in the center of the dry ingredients and add the butter, vanilla and egg, mixing to combine after each addition. The dough will be soft. Place a heaping teaspoonfuls of dough about 2-inches apart on the prepared baking sheets. Place in the refrigerator until the dough is firm (about 10 minutes). 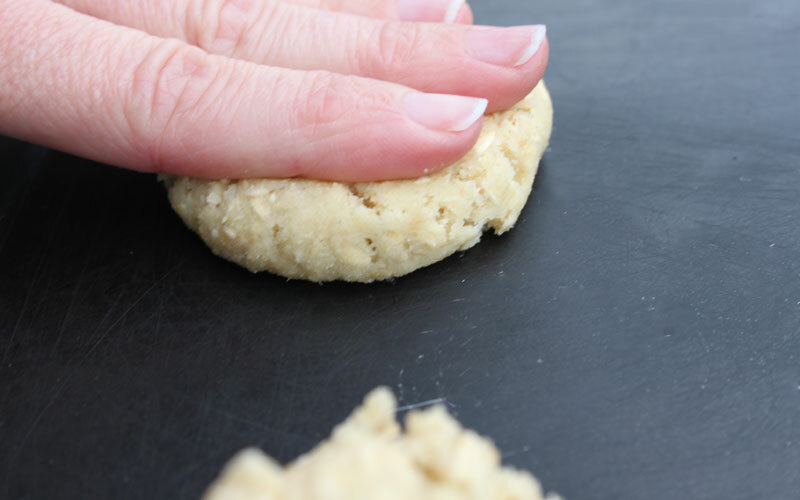 Remove from the refrigerator and roll each mound of dough into a ball and flatten into a 1/2-inch disk, still 2-inches apart from one another. Bake until the cookies are browned around the edges and set in the center (10 minutes). Allow to cool on the baking sheet until firm. Wait to until they are cool to remove them from the cookie sheet. 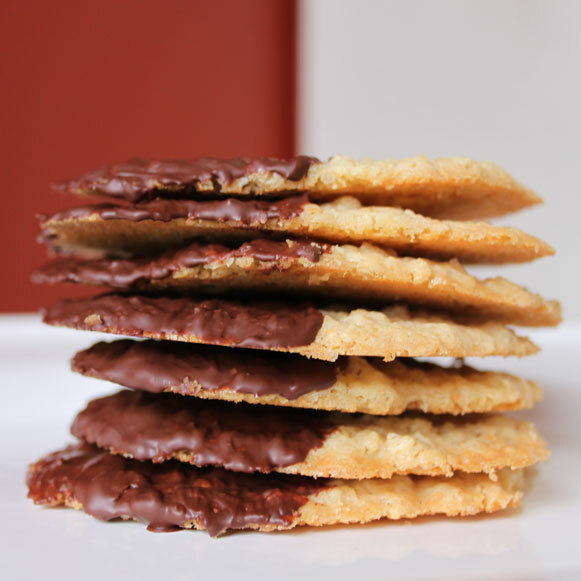 When cooled, using a pastry brush, brush half of each cookie with melted chocolate. Let the chocolate set, about 2 hours.